Address: St Gregory’s Church, Warwick Road, Stratford-upon-Avon, CV37 6UJ. 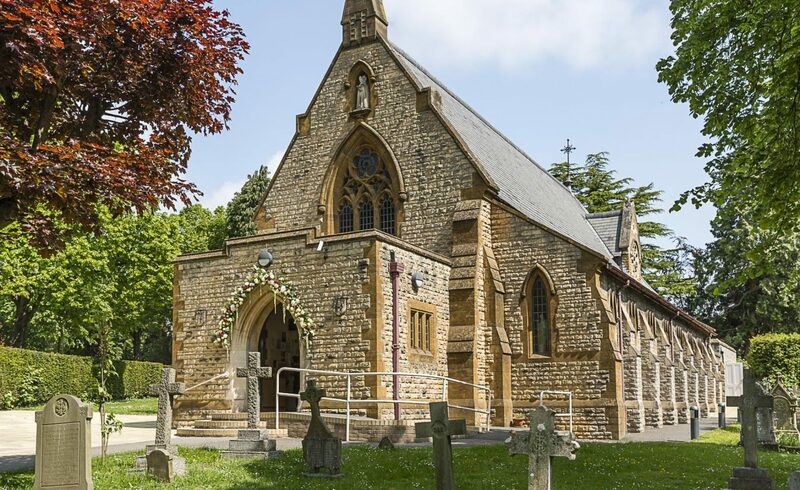 The site for the church was bought on 5th April 1850. 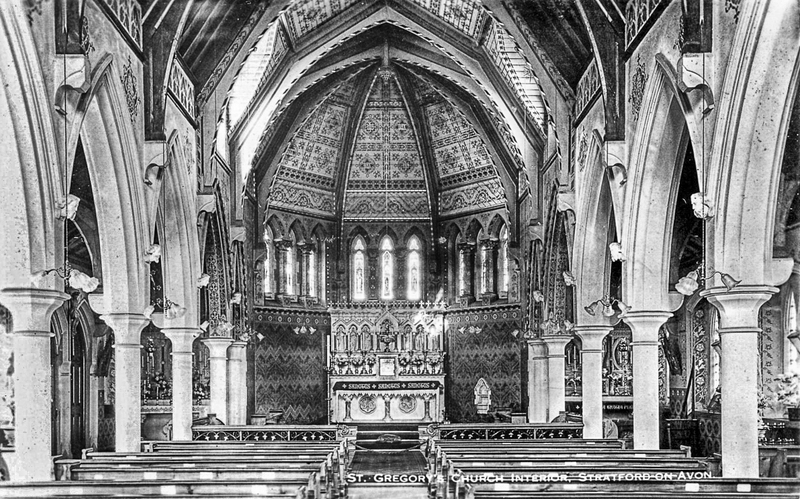 The building was completed on 30th July 1866 and the church was opened and dedicated to St. Gregory the Great on 23rd October 1866. In the 1950’s Catholic population of Stratford upon Avon was increasing to such an extent that in 1956 it was suggested that a site for a new church on the west side of town should be found. This was blessed in 1962 and the church was opened on 22nd May 1973. It was dedicated to Our Lady of Peace.